I received this product for free and was compensated for my 100% honest review. I've been using a bunch of different science curriculum lately, if you couldn't tell. As a person that is fascinated by science it's important to me that my kids get some quality science in them. Plus, I'm determined to get each one of them to fall in love with science as well. Oh, and it's one of those things that makes me super nervous that my kids will miss something and sit there in college cursing my name and all that I represent. Are you consistently skipping science because you sit down and realize, "oh garbage, I'm missing the one key material we need?" Are you consistently skipping science because you don't have the funds to buy buy buy the beakers, the petri dishes, the solutions, the microscope, the slides, the frog to dissect? Are you consistently skipping science because you've forgotten to look over the material, set it all up, and be prepared? Are you consistently skipping science because... ugh? I said I loved science right? Well, my bank account doesn't. My brain fog, bad memory doesn't either. Teacher's manuals, lab books, copies, random piece of string, a bottle of some weird ingredient that I only need a teaspoon of, I'll never use again, and costs $40-- all kill me. I wanted to do the experiments, I wanted to show my kids how amazing science was, but I just kept hitting a wall of reality and life. Then breezed into my life homeschool science kits subscriptions by Insight to Learning. Ohmygosh, guys. THIS. This is the answer. I don't have to do a thing except order, open, do it, and return them when done. They've literally done everything for me. This is a procrastinator's, a forgetful flake's, and a financially strapped person's dream come true. I open the big glorious box. It is stupid simple organized. There are 5-6 lessons in each box. Each lesson is in its own huge ziplock bag. Clearly labeled. The Teacher's Manual is in its own bag, with copies of lab sheets (copies y'all!) in the same bag. Clearly labeled. What do I do when it's time for science? I pull out our science kit box. Pull out the Teacher's Manual, open it to the lesson we're on, and go. Pull out the remaining materials from the activity bag and start the experiment. The Teacher's Manual has starter questions, vocabulary, the lesson material to cover, follow up questions, and the experiment instructions. Also included are the master sheets for the copies you'll want to make (only if you run out of the paper they included in the science kits). I don't have to read it the night before, the week before, or ever. I read it for the first time when the kids are hearing it for the first time. I could go as far as letting the kids do this on their own should I feel the inclination or have the need. If my husband, mother-in-law, or babysitter was subbing for the day (should I randomly jet off to England one day) they could do this with complete ease and no stress/freak-out. Yeah, but do the kids like the science kits? What's even better, when the subject of what we'd learned recently came up in a random conversation with other people they remembered it! They remembered the new vocabulary, what they meant, and how they worked. That's the most important part, right? That they're learning and retaining what they learned. We have the kit from the 2nd grade subscription (I have a 2nd, 3rd, & 5th grader) titled Earth's Place in the Universe. (*Note, this is the link to the classroom kit, so don't freak out at the big price tag). We've learned about erosion, earthquakes, volcanoes, the layers of the earth, and caves (growing our own stalactites). My kids want to do the experiments over and over again. They're sad when I tell them it's time to move on. When Dad comes home they can't wait to show him what they did and learned. 1. Pick the grade you want to use. I used one kit for my 3 oldest children (pay $5 for supplies for an extra child). You receive a discount if you purchase 2 separate grade level kits. My plan is to go through one grade level and then go up a grade until we reach the end of their kit levels (5th grade). 2. Every 6-8 weeks a new box with 5-6 lessons and activities is shipped to you. 3. Go through each lesson at your own pace (we do one a week). 4. When you're done you ship all the non-consumable items back. Things like the teacher's manual, measuring spoons, DVDs, books, etc. They include a laminated list when you first open up the package clearly listing out the items to be returned and the items you can keep. They literally include everything (except water) that you'll need for the experiments. An empty water bottle, measuring spoons, string, plastic spoons (to stir with), a beaker, aluminum pans, clay, erasers, construction paper, cups. We only have to be alive and awake and have water nearby, should we need it, to do the experiments. You could open this box in an empty hotel room and do these experiments. I really loved that the liquid ingredients (clearly labeled) were in a mega-tight container, and double bagged. I don't see how any container would ever leak, but just in case, there's 2 bags to contain it all. The teaching materials (books and DVDs) are high quality. Real science terms, real science, and clear explanations. No fluff here. What if I want to keep the kits? If you don't want to return the items you would just buy the boxes instead of using the subscription. This would be nice if you wanted to keep the materials to use for younger children as they get older. Hands down this is an amazing subscription to get. Forget those other monthly subscription boxes. This science kit is beneficial to both you and your children. First time subscribers get 50% of their first month's subscription (this offer never expires). Insight to Learning will mail you a check for $12.50 in your first box you receive. This is one of my favorite investments for our homeschool this year. It's made science easy, simple, doable, effective. It gets DONE! Q: What year kit do you want to start with? Science is one of those subjects that can scare many a homeschool mom. I can't homeschool high school because I can't do high school science. I can't homeschool because I can't give my kids the full science education they need. I can't do science because I hate science. My science teacher was an imbecile and I still haven't recovered. Whatever the reasoning behind it is, I'm here to say, there's another way. You CAN do science, and do it well, in homeschool. You can teach science the right way and not let's-make-a-baking-soda-volcano-and-call-it-good type science. I'm a do-it-yourself type of gal. If I could make, grow, create, build everything I use, I totally would. I have a secret fantasy to live out in the middle of nowhere on a huge ranch/farm and just live off what we produce and make with our own hands. My husband, being Mr. Indoorsy, would like to stay close to civilization. As as DIY-er, I love to cobble together my own homeschool curriculum and I love to plan and pull together resources. In my 6 years of homeschooling, I've realized that my time is better spent NOT doing that. Not sapping my energy trying to put together the best resources I can find (and not spending tons of money) and not pouring all my limited energy into building a curriculum. So, what curriculum would I use? When I first decided to homeschool, I searched for weeks for THE BEST science curriculum for my children. I found Real Science-4-Kids and started teaching my kiddos Chemistry. Then, the next year, I got hit by the "I need to do more more more" bug, and thought, this needs to be harder (for me) for it to be effective. Can I get a collective eye roll? Sometime last year I slapped my own face and rolled my eyes so far back I fell asleep for a week. I've been on the hunt for science goodness for my kids ever since. Something that could satisfy my desire for a real, thorough, and solid education. Something that wouldn't be one more thing to do that never got done because I was overwhelmed, and wouldn't be something that I'd never do because I'd forget to grab the stinking supplies.... again. I happened again on Real Science-4-Kids. This time, their grade level curriculum instead of by individual subject. I received this for free in exchange for my honest review and compensated for my time, not my opinion. I have 5th, 3rd, 2nd, and PreK/K graders. My 5th grader is behind in science (remember that cobbling that lead to burnout, which led to not doing it consistently?) so I decided to go with the 3rd grade level to meet in the middle. Pull my 2nd grader up, meet my 3rd grader, and help my 5th grader to be confident while he improves. I love RS4K because it gives you a taste of each science subject. Chemistry, Biology, Physics, Earth, and Astronomy for a total of 22 lessons. My kids, who keep telling me they don't like science, enjoy reading the textbook, looking at the pictures, and then seeing for themselves with their own experiments. What they read in the student textbook is then proven to them through a simple, doable, no random expensive materials required, experiments. Little Miss (3rd grader), was all about learning why oil and water don't mix and then why when you add soap they do. In fact, I loved learning about it. The way they show the molecules in the book made it visually easy for the kids to see the similarities, differences, and connections within the lesson. They could see why water and sugar mix and why water and oil do not just by looking at the picture. Captain (the 5th grader) is not groaning when I say it's time for science. He's especially excited to do the experiments. I call that a major win. We received 3 books. Student Textbook, Teacher's Manual, and the Laboratory Notebook. Not one of these books are unnecessary. They each play an important part. The Student Textbook has all the lessons, written out easily for the kids to understand, but not dumbed down. We've read these lessons together, and I've had them read them with each other (while I'm taking care of the baby). We've also read some of the chapters during morning time as review and extra time to sneak science into our school days. The Laboratory Notebook has all the pre-lab questions to think about, and answer, the graphs, charts, and notes sections for the experiments, and then follow up questions after the lab is over to summarize what you've learned, compare your hypothesis with the results, and wrap it up nicely with an explanation as to what happened and why back in the Teacher's Manual. The Teacher's Manual tells you what materials are needed for each lesson, how to conduct the lesson, what questions to ask, in what order, etc. You don't have to think. If you're running behind on prep time, you know you can just open it up and go without having to teach yourself first. I'm sure there's some other standards, but these cover the most basic of my standards and benchmarks. Real Science-4-Kids meets them all. After having had 6 babies, 3 while I homeschooling , and having HG each time, being able to give my children a quality education when I'm laid out on the couch, not having been able to keep down food or water in 24+ hours, exhausted, worn out, and stressed is vital. I can't pile on guilt on top of all those other things! I may be done with having children, but understanding days don't always work out, and the fact that life happens, no matter what you plan-- I always want to have in place something that is going to work for my family no matter the circumstance. I don't mean to sound so maudlin, but having a wonderful science curriculum takes away stress and worry from my shoulders. I can cross this worry off my list when I'm laying there at night, worrying. Worrying I'm missing something, worrying I'm not doing enough, worrying my kids will turn into horrible people or with no prospect at happiness and success and intelligence. Because of course, when we're worrying, we're never rational. I can say to myself, "Rochelle, but you're doing science, they're doing it, they're getting it, they may not be science geniuses, but gosh dang it, they're smart and they're not going to start killing kittens because you homeschooled them." I don't want to teach my kids fluff. I want them to know what's what and really grasp and appreciate science for all that it's given our society and its possibilities. My dream is for each of my children to fall in love with science, but since I can't control them (darn it), I'm going to settle for having a good understanding of it. This is real science, not watered-down fluff. My kids are learning real science terms, real concepts, and referring to the things they're learning as though they were already scientists. I'd encourage you to read this fantastic interview of Dr Keller (the author) and how this curriculum is different. This interview was a major reason why I fell in love with RS4K. 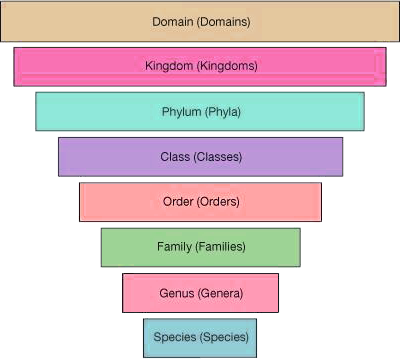 If you're looking for a science curriculum to get you headed in the right direction, to be your spine, then I highly highly recommend RS4K. Each year builds on each other, from Kindergarten all the way up to their newest release, grade 7. If you're the unit study type, you can totally build off of the units within the text to suit your needs, and you know you'll have a solid foundation to turn to. If you wish, you can always use their Focus series to really explore the separate concentrations. If you're the let's try lots of curricula type (raising my hand), then definitely use RS4K. I have several science curriculum for this school year. I have two that we will use as supplements, as specific units, but this one, is our main spine, our main constant. Now, I can say this-- I love specific science concentrations. I love love biology and astronomy. I can appreciate chemistry for its coolness factor (but I sure hate those equations). I appreciate the other sciences, but I don't love to study them. The fact that RS4K has all the major concentrations of science is fantastic. I loathe physics and earth science is meh. Rocks? Yawn fest. I'd much rather learn about the body, elements, and the planets. We've just started the physics section of the 3rd grade RS4K's text and I've gotta be honest, it's not bad at all! I've re-learned some things and am enjoying myself. I love that it's set for me. I don't have to plan it, think about it, research it, none of that. I love that I can make sure my least favorite subjects are being taught well and my feelings won't effect my children. Because really, I'm finding that physics isn't that bad. Plus, my kids are loving it. Since we're all on a tight budget, I love a good deal and sale. Right now RS4K has a referral program going on. You can get a $20 payback reward toward purchase for each referred friend who makes a purchase. Plus, if your friends buy before September 30th they get 30% off. You also can get $30 off too, if you purchase through this link. I love this. Such a caring company looking out for the best of us homeschool families. With each $20 you can turn around and buy next year's curriculum! Look at what's most important to you in a homeschool curriculum. Let go of the things you think you ought to be doing and what others are. What is it that you value the most? What are your goals for your children? Use those as a jumping point. If your goals and standards are anywhere near mine, then I suggest, friend to friend, that you look into RS4K. I received this product for free and am being compensated for the time to write the review. This is an honest review of the product. Use a rigorous curriculum? Just what do you mean, Rochelle? Let's define what rigorous curriculum means. It's a curriculum that's not easy, not comfortable, not your average mamby-pamby stuff. I'm not talking impossible. I'm not talking tear-inducing rigorous. I'm referring to the feelings YOU get when you look at the curriculum. Are you nervous it might be a little too much for your children? Are you unsure if they'll get it? That you can do it? You want a good balance of doable and scary. It's just like picking a book for your kid to read. You don't want to hand your 5th grader an easy reader. Your child isn't going to stretch their reading abilities. You don't hand him a 5" thick book on quantum physics either and expect him to understand everything. You want a book that's easy enough to give confidence, yet hard enough to push their abilities and stretch their minds. THIS is what I mean by picking a rigorous curriculum. I would NOT consider my children gifted. They're smart, just sometimes I wonder if they know what color the sky is. I want them to be gifted, but I'll be honest, I probably am to blame for part of it. I haven't pushed them near as hard as I could. I purchase rigorous curriculum, and have high expectations, but then sometimes, I just don't hold them to it. And sometimes, yes, I even underestimate them. What's a homeschool mom to do? Stop underestimating them. Stop underestimating me! I resolved to change, to do better, to push push push because ohmygosh, I only have 8 years left with my oldest!!! Panic time! How in the world am I going to make sure he's ready for college and life in just 8 years. Someone get the smelling salts, I'm going to pass out. I sat down with myself, gave myself a good talking to, and started to think. What were the areas my kids were struggling in? What could they do do better in? Where do I want them to be at the end of their time homeschooling? At the end of this year? Then I took each piece of curriculum I had and evaluated it based on this clear criteria. Some things were great, I just needed to enforce it better. Some things, not so great. I needed a different science curriculum. I love my Unit Studies, and I will keep doing them, I just find that it's so easy for me to drop things or not do them because I think they'll be too hard, or too time consuming, or whatever the reason. Or I don't make it challenging enough. Then came into my life, The College of William & Mary and their Center for Gifted Children (published by Kendall Hunt). My daughter loves vegetables because I told her years ago she loved veggies. She proudly walks around telling everyone she loves veggies and she does! She tries every single one of them and eats broccoli. The point is-- if I tell my kids they can do this science curriculum, then they may just believe me. If I tell myself they can as well, then I'll approach it with a higher expectation and better perspective. Sounds cooky, but guess what, it totally works. Picking which unit study I'd try first was HARD. I have a 1st, 2nd, and 4th grader (the rest are preschool, toddler, and baby). My 4th grader was the most behind, my 2nd grader is advanced, and my 1st grader is capable, but struggles with focus. I picked the grades 2-4 level, What a Find! -- a unit study on archaeology. So cool. Oh the books are beautiful. They are jam packed with goodness. Instructions, dialogue, examples, problems to solve, documents, assignments, and handouts. Holy crow, I read the instruction manual the first time and thought, there's no stinking way my children are going to understand this. What am I going to do? I was determined to prove myself right. My kids could do this! I just needed to give them the chance to try. I read through the first lesson again and really pondered what it meant until I was comfortable with the topic: systems. The next morning, I gathered the kids around the table, pulled out our white board and a marker and got started. I love that they have us talk about a refrigerator, something each of my children are very familiar with (hello, they're sneaking food all the time). We labeled all the part of the fridge, talked about what it does, what goes in, what comes out, what needs to happen for it to work. My kids got it! They totally blew me away. Like completely and utterly. My 4 year old was even joining in on the conversation, and sometimes I'm not quite sure she knows her own name. My 1st grader was 100% involved in the discussion, and so were my older kids. We brainstormed other systems. They came up with a TON (you can see part of our list to the left of our fridge picture)! When my 4-year-old named sand as a system, the other kids quickly realized that no, sand is not a system. Using the system parts they just learned, and the new vocabulary, they explained why sand was not a system. They decided that sand was part of 2 other systems: the desert and ocean. My Proud Mama tears were shed that day. Inside, of course. I absolutely adore the problem-based study. It presents a problem to my kids. Since What a Find! is about archaeology, the problems are what an archaeologist would face every day. Then we brainstorm what we need to know to solve the problems, the materials needed, the information needed, and any other important tidbit. After that, we go about finding that information, come back, present it, and move forward with the next bit of problem until we are at the final dig where we put it all together. It's really got my kids thinking, processing, and solving problems. They're getting it and doing fantastically. I'm feeling more and more confident with their abilities as we go through each lesson. THEY are feeling more confident. I'm realizing, they can do this. We can do this. I'm profoundly excited and relieved to know that my kids are capable of this high caliber curriculum. I realized I wasn't pushing them to their full potential. I was staying safe. Once we're done with this unit, we're adding in history and another science unit. With the remainder of our curriculum and plans for the year I've decided each one will be given the full push. If it's not stretching my kids it's getting the heave-ho. I only have so much time with each of my babies. I only have so much time to teach the what they need to be able to do, understand, and know before they're moving out. I know it sounds dramatic, and maybe I am being a bit dramatic, but we mothers know it's true. We don't have a lot of time even to teach them basic character habits, and as homeschool moms we have an even bigger job in front of us. Give your curriculum a good thorough going over. What could be improved upon? Where are they struggling? What's not challenging enough? William & Mary has science, social studies, and language arts curriculum to challenge your kids at just the right level. Be sure to follow William & Mary so you can connect with them and find out more about all they have to offer. Facebook & Twitter. Quotes are an effective teaching tool and should be utilized in your memory work. Want to know why? There's so much to know you worry you'll miss something that you want your kids to know. Who can recall all the life lesson you want them to learn on top of all the academic work as well? There are so many influential quotes and thoughts to help us navigate life's storms. There are many places and people to pull quotes from. You want to cherish these golden nuggets and sprinkle them in your days. Include quotes, thoughts, and nuggets of wisdom in your memory work to really add an extra layer of learning without tons of effort. I have written out a bunch of quotes for you. You can just copy and paste them into a word document and print them out on index cards or pages to put into your memory work binder. The * indicates that it is included in the ASL Memory Work free download so you can memorize it in both English and ASL. Silence: Speak not but what may benefit others and yourself; avoid trifling conversation. Frugality: Make no expense but to do good to others or yourself; i.e. waste nothing. Industry: Lose no time; be always employ'd in something useful; cut off all unnecessary actions. Cleanliness: Tolerate no uncleanliness in body, cloaths, or habitation. Everything is hard until it's easy. Everything is easy once you know how. If you can't fly then fun. If you can't run then walk. If you can't walk then crawl. But whatever you do you have to keep moving forward. - Martin Luther King Jr. Sometimes courage is the little voice at the end of the day that says, I'll try again tomorrow. Don't promise when you're happy. Don't reply when you're angry. And don't decide when you're sad. If you want to live a happy life, tie it to a goal. Not people or objects. - Albert Einstein. The 5 finger prayer: Thumb- those closest to you. Pointer- those that point you in the right direction. Middle- those that lead us. Ring- those that are weak, in trouble, or in pain. Pinkie- our prayers for ourselves & our own needs (smallest). Be sure to print the ones out that really strike you and will teach your children just what you want them to know. Shoot, go ahead and print them all out, these will last you for a good year or two, depending on how you use them. I have included 3 of these quotes in the ASL Memory Work pack. If you want to know which ones they are, they are marked with an *. It was hard to pick which ones to share with y'all, but I think they each have such a good message for your children to learn. For one of the quotes you'll be discussing possibilities of what it can mean for them and how they can sign it. There is such power in discussing a meaning of a quote and how it is useful for them. Take advantage of this discussion and milk it. If there is a quote that your children connect with, I'd encourage you to print it out and put it somewhere on the walls of your home to remind them of it. You don't need to make it fancy or pretty. Just put the words up. You could even put it in a frame and then rotate them out as you find new ones. That way it doesn't become stagnant and stale. Did you miss Day 1? Click the picture to read more 5-day series posts. You want your child to know and love God, to cherish the gospel in their hearts, and live its standards. Scripture memory work is the first easy step to establishing a relationship. But it's not the only step you can take with Memory Work. Having many opportunities and lots of time to dedicate to teaching your child the gospel is one of the big reasons you decided to Homeschool. Sometimes though, you don't do as much as you'd like. Putting key concepts into your memory work will ensure it's covered and remembered. Especially when you're not there to help your child. Of course, you already know memorizing scriptures is an excellent idea. You can start in chronological order, as these are listed below, or you can pick and choose based on what you're learning as a family. In our home we do all of either the Old Testament or the New Testament during one school year. We make sure we are also studying from that book during the school year as well to know the stories and get the real good nuggets of information and dive deeper. The kids are so excited when we read a verse we have memorized. You guessed it, they all want to stop and recite it together. This has really helped them to internalize the verses they memorize because they not only memorize it, but they then connect it to the stories and prophets of old. I've listed out some really good doctrinally based verses for y'all. Of course, it's really hard to choose, there are just so many amazing ones. If I could I'd memorize chapter 11 in Hebrews. The * indicates that this verse is included in the ASL Memory Pack y'all can download for free at the bottom of this post. Your kids can memorize those verses in both English and American Sign Language. It's really fun, and very effective in memorizing and understanding the verses layers of meaning. If your religion does not use these books of scripture, please substitute with the verses that are teaching a principle and lesson you want your children to know. Of course, if you are not religious, then just skip over these verses, or go ahead and memorize those that are in keeping with your family's values and standards. This was a little bit trickier since so many of us are of different faiths. Jewish, Methodist, Catholic, LDS, Presbyterian, Muslim, Baptist, and on and on and on. I've scoured the internet for places to get free copies of the lyrics to hymns of various faiths. If you don't see your faith here, I truly apologize. In this world of increasing opposition to morals, values, standards, and religion it's important that we arm our children with all the knowledge, faith, and strength we can. It's good for our children to know the scriptures that we hold dear to our hearts. It's just as important that they understand where we stand on the doctrines of our religion. We cannot be there for our children at every step they take, temptation they face, opposition they face, or doubt they may have. We cannot decide for them, we cannot give them our testimony and faith. They have to find those for themselves. Understanding the doctrine of their religion will give them a solid foundation of knowledge and understanding. These can lead to desire to know, which will work in their hearts to develop into hope and faith. And actions soon follow. We'll be giving our children the tools to choose right and good and to discern wrong from right. Dark from light. Write down the doctrines of your faith. Flesh out, or seek materials from your religion to aide you in this pursuit. What is our belief in God? Jesus Christ? The Holy Ghost? Who do we follow as our leader-- is it a prophet, apostle, pope, etc? Where does their authority come from? You could go on for hours. It may take you some time, but I guarantee, the time you put into this will not be wasted. Once you write down your doctrines (or find them written for you) be sure to find scriptures that support the doctrines you believe. Now for the application part. 1. Pick the doctrine you want to cover first. 2. Read it together, read the scripture references. Discuss, ask questions, pray, and dive as deep as you want. This can take as long or as short as you want. It can span a day, a few days, or even a few weeks. 3. Now, if the things you've written down are pretty lengthy, you can take it a paragraph at a time and memorize it. Or memorize the golden nuggets first, and then come back through again at a later date and memorize more. Be sure to memorize the scripture references along with the doctrines you memorize. This will be so helpful and effective for your children. Should they ever need help understanding a principle they can recall what they've memorized, but then they know the scriptures that support this and will have even more evidence at their hands to guide them. 4. As the years go on, be sure to add more scripture references to be memorized. The scriptures are jam-packed with goodness and teaching nuggets that all connect to one another. This journal will be invaluable to each child as they grow and, as we often do, forget the lessons we've learned. Putting extra effort into really making your relationship with God a top priority in your homeschool will bless your life and your children's lives in ways you cannot imagine. Things may still be hard, but you will find strength you didn't have with Heavenly Father and Jesus Christ by your side. I have translated 4 scripture verses into ASL for your kids (and you) to memorize. Well, there's something powerful about moving your body when you memorize. You memorize it faster, your recall is easier, and it's ingrained in you at a deeper level. Learning a scripture verse in another language really encourages your children to ponder the meaning of the verse. In a few of the verses I give a few options on how to sign and interpret the verse. I leave these options up to you and your children to discuss and decide upon together. What a great teaching moment. Having decided together you will learn together and you can bet they won't forget it. You can grab them for free, along with poems, quotes, and educational bits to memorize in this box right here. You'll get access to the videos, as well as review pages to put into your memory work binder for quick access. Click the picture to read more amazing 5-day series. You want to include memory work but aren't sure where to even start. There's so many possibilities to do it can be overwhelming. I've got a step-by-step guide to lead the way and eliminate the overwhelm. Is memory work worth all the fuss and hype? It's so easy to jump on board to the next revolutionary education idea. Let's discuss the benefits of memory work so you can decide if this is worth while for your family. Your brain is working hard to retain and recall the information you're giving it. It's not zoned out, it's not in la-la land, it's not doing menial work. This is the real deal of brain exercise. You can't be passive when trying to memorize something. To gain a real, useful education you cannot be passive. Your memory for everything, not just what you're memorizing improves tremendously. Your ability to retain and recall most information grows by great bounds. If you memorize something every day for 2 years, it doesn't have to be big, but memorize it and review it regularly for 2 years you will have a photographic memory. If I had a photographic memory I could tell you where I saw this research. But, since I haven't memorized something for 2 years straight, I can't help you there. But! When I was in my early 20's I memorized a whole slew of scriptures, about 95 total in a year. At first, it was super hard and I just couldn't get some of those longer verses to stick. Then, all of a sudden, I hit the point where I could memorize a verse after reading through it 4 or 5 times. It was EASY! I flew through my verses and remembered them for a long long time. I'm in my early 30's now and while I didn't consistently review those passages and babies, time, and an autoimmune disease has eaten away at my memory, I do recall many of them even now. I have recently (as in 2 weeks ago) made a goal to memorize a new verse every day for 2 years. My brain needs the workout, it needs the stimulation, and I need to gain my memory back and, honestly, I'd like to prevent further deterioration (especially with my AI disease). Is it just me that's terrified of Alzheimer's and dementia? It's been fun so far, I've done pretty good and it's been an added blessing in my life to stop and take some time for me-- and not in just a let's read a book or take a nap, but to better myself in a unique-ish way. When I memorize something it really helps me to retain it when I understand it. As I memorize passages my brain is making connections to the words, to the subject matter in various ways. It's connecting to things I already know about this topic. It's connecting to memories or experiences I've already had. When my children memorized The Swing, by Robert Louis Stevenson, they really made a greater connection to that poem when they next went on a swing. They understood what he was saying and meaning. They felt it. They even quoted it while they were swinging. Again, you can't be passive when memorizing. I'm sure you could try, but then, you aren't going to keep it in there for very long. Maybe long enough to pass the test, but not long enough for anything else. It shows yourself and your kids that they can do hard things. These days people don't like to work. They don't like to work hard for things. That's not the case for you. You didn't take the easy road. You kept your kids home to teach them yourself. That's hard work. And it's the best hard work you've probably ever done. Well, when I say that I AM including being a mother to those children. Because really, you can't separate homeschooling and mothering/fathering from each other. When our kids memorize various passages, they have tangible proof that they CAN indeed do hard things. They are smart, they are capable. They can do hard things. The more hard things we can do, the easier the trying becomes. The safer tripping up and messing up becomes because we know we can do it, eventually, if we just keep plugging away. That's an incredible gift to give our children. This is a gift that will serve them far better than learning who Aristotle is or knowing the names of all the planets. You know how children can be. There's fighting, there's the, "she's not sharing with me," or "she's looking at me,' or "he won't give me back my ball," or "he's better than me and I'm not good at that." We want our children to love each other. We want them to be friends. We want them to learn how to work together, even if it's just for a little while. When you memorize a passage together, you're doing it with one another. You're all starting out on the same level. Now, some may get it faster than others, some may not. If this is a problem, I'd do a few things. Address the core issue. I have had this conversation with my children multiple times and I know I'll have it with them for the rest of their days. Heck, I just learned this finally a couple years back and I'm 33. Just because someone is good at something doesn't mean you can't be either. Just because Johnny is good at math, doesn't mean you're not good at math. Just because Jenny is good at the splits doesn't mean you can't be good at the splits. Someone being good at something doesn't make us less. Someone else being talented doesn't make us less talented. Someone being an amazing writer when we're trying to be an amazing writer, doesn't mean we can't be an amazing writer also. Make it a family effort. Make it fun to cheer each other on and be supportive. Make that your family mission during memory work, to help each other. You could also adjust a bit if it's really hard on someone. I'd think of different ways to do memory work. Perhaps say we're only going to memorize this part today and work on it bit by bit so that everyone stays at the same level. I wouldn't do this forever, but maybe for a little while until they're all used to the process and it starts getting easier for the ones that struggled before. But honestly, you don't have to adjust. Just keep at it. But still... there's a part of me that wishes some naysayer would try to tell me homeschooling is super lame and then BAM! my 4-year-old busts out the entire constitution or the Gettysburg address, or an entire 5-page sonnet or something ultra impressive and then they fall into a puddle of shame-goo, apologize, and whip out a checkbook to send my kids to an Ivy League school as penance. I'll be satisfied with the shame-goo puddle, or the apology and acknowledgement of them being wrong. I don't need the Ivy League school. Heck, our kids could get scholarships there anyway! Those schools [wc_fa icon="heart" margin_left="" margin_right=""][/wc_fa]LURV[wc_fa icon="heart" margin_left="" margin_right=""][/wc_fa] homeschool kids. Why? They know how to work, do hard things, use their brains, self-starters, and know how to learn. The next 5 days will give you tons of resources for memory work, printables, and help you to plan your year out. Bookmark this page so you can come back each day and not miss anything, and you can come back if you forget anything, or when you plan next year's memory work as well. Day 1 is already up, be sure to start there. If you have any questions, please, ask in the comments and I'd be more than happy to help. Are you in desperate need of a math solution for your child, or all of your children? Have you looked everywhere and just about thrown in the towel thinking, "it's because you're a bad homeschool mom, or your children just don't thrive in homeschooling after all?" That is a miserable miserable miserable feeling. Don't dwell on them; they're no good. I'll show you our solution. I received this product for free, was compensated for my time, but was not required to give a positive review. I only recommend products that I truly love. When I was a kid I loved loved math. And then, I didn't. I hated it and couldn't figure it out. I sat in class panicking. How did all the other students know the answer when I didn't even remember learning the concepts they were discussing?? That's not a happy feeling. I remember exactly when that shift began. We moved from North Carolina back to Texas during 4th grade. In NC we were just starting fractions and percents; in Texas, they'd finished them months ago. I never learned them formally. Then, 7th grade. Miss Emille. It was 7th period; Miss Emille would turn on the overhead projector and show us the filled out transparency. She said, "this is what you do, then this. Here's your class assignment, here's your homework." The transparency was illegible: the nub of the green marker must've been pulverized because the marks were so fat you couldn't tell if it was a percent sign, an 8, or a monkey. This transparency was "teaching" us how to do the problems. Then, she'd go over to her desk, pull out her box of twinkles and eat them. She'd ignore us. We couldn't get any help from her. A BOX of Twinkies! She'd eat the entire box and read her magazines. Maybe go visit another teacher. At that time, I was still good at math and enjoyed it. Kids crowded around my desk asking for help. Yeah, asking another student to teach them math when a teacher sat just feet from them. That was the last year I was ever good at math. When I was in college, a great professor helped me remember that I truly did love math and could be good at it. You can see why gaps in my children's math education, or using sub-par curriculum is something I'm avidly against. I scoured the inter webs since the moment we decided to homeschool for the best math curriculum ever. We used Singapore, then Saxon, then settled on Math U See, and started to dabble with Life of Fred. Let me explain the weird math world that's in our home. Maybe it's not so weird, feel free to reassure me if it's not. Before the summer of 3rd grade we were using Saxon. He couldn't add and they were starting division. We switched to MUS (the Alpha level) and he took off. By the middle of 4th grade he was in pre-algebra. Wow! The kid loves math and does really well with it. He doesn't want to stop doing his 2 hours of math. Also, he's in such a hurry to get to the next level that he skips practice sheets, tries to skip the tests, and then gets mad when he doesn't understand the next 5 lessons. Then I get upset and make him start all over from the beginning. He's had to start over twice and I'm thinking he may have to for Pre-Algebra as well. We started her with Saxon and then switched over to Math U See that same summer and she did fantastic. Then, all of a sudden, last year she decided she wasn't good at math. She started crying and there were lots of power struggles. Little Miss is smart and capable and it just drives me up a wall that all of a sudden she doesn't think girls are good at math and that's it. I want to throat punch the fool that put that notion into her head. She whines and prolongs the whole process for 2 hours. Meaning, at the end of the day, she has to go back to the table and finish her lesson. She's my most stubborn and strong-willed child, and also the smartest (don't tell my other kids). He's a smart dude. He just does everything in his power to NOT do anything school related. I'd have to sit on his head to keep him on task. Sometimes, I'm tempted to. The Animal lays on the floor, makes a fort with the table, makes his flashcards into motorcycles, or visits the bathroom for the 10th time. He takes 2 hours to do half a page of math that I KNOW he could do in 5 minutes if he'd just do it. She's desparate to do school like her siblings, but Mama is exhausted (hashimotos, adrenal fatigue, candida overgrowth, a 4 month old baby, and a 2-year-old) and doesn't have the mental energy all the time to "do school" with her. Sweet Cheeks stands by my side begging for more worksheets more worksheets more worksheets!!! Never mind that she totally trashed the last 8 I gave her. Teddy Bear is in the kitchen, throwing away measuring spoons and cups again. The Baby is spitting up all over me. Again. I love homeschooling and my sweet crazy children, but good grief, I want to see some progress! Here's the solution we've found, quite by providence. Dude. This has a solution for ALL of my children. ALL of them. They have such varying needs and it covers all of them. The perfect math solution for my math nut, my math-resistant child, my unfocused child, and my eager-to-learn child. I know it'll have solutions for my 2 littles when they get older as well. No doubt. He goes through the lessons, and it tracks his progress. I assign him tasks that he has to complete first. He can't sneak-skip assignments. The way the questions are laid out, he really can't skip a question. Multiple attempts are allowed: he can try again and again, without having to re-write the questions or erase the page (and rip it). I can go back and evaluate what he's done so I can see where he needs more help and assign around that. Their passing score is set to 90% and can be adjusted to your standards. I can see how many times he took to achieve the score he received. Started on the 2nd grade level and is whizzing through. I knew she could do it, and now she's realizing she can too. To me, that's the biggest win. Scores and award medals are just the motivation she needs. Takes a diagnostic test and can skip the lessons if she passes (90%) and gets even more excited. Ablity to jump around to suit her interests that day and take a break from something that may be giving her trouble. Stays engaged the entire time and doesn't wander around making motorcycle sounds. Loves the math fact speed test (pictured above). You can hear him cheering and shouting to with joy as he gets more and more right each time he does it. Motivated to work on his multiplication so he can play the drill game (shooting cute spaceships and aliens-- nothing violent). Minimal help is needed, he works 85% independently. When help with understanding a question, he works with his older siblings. It creates a great bond and unity. They love to help him. He's made so much progress with his math in the past several months than he did with our previous math curriculum because the videos and questions are engaging enough that he will sit and listen. Wearing Dad's headphones and sitting at his computer make him feel special. He's motivated by the scores. Started the kindergarten work and loves it. The problem I have now is that she's constantly begging to do CTC Math. It's a good problem to have. Some days. Can work with just a touch of guidance and monitoring. Animal does his best to help her and the older two as well. It has helped with Animal's motivation to read because if he can read well he can be his sister's "teacher." I cannot believe how much one program has helped my children. They have: consistency, no gaps, and quality. I'll have to cover is the American measurement system. I actually love that it goes over the metric system so well. One day I'll hop on and do a refresher. I am no longer worried about my children missing something important that I didn't even think of, or realize that their curriculum was missing. That's the biggest fear of us homeschool parents, amiright? Well... besides, "I'm messing up their lives forever!" I'm no longer fighting math time. If you're not familiar with our family, we use the Robinson Curriculum. It's a pretty simple layout and it's all about children working independently. Which I'm a huge believer of. We do other things along with that, but those are the bones of our school days. 1 hour of CTC Math. We'll stick to this method for the next quarter and then re-evaluate to decide if CTC Math is going to be our main math curriculum or a supplement. No matter what, it's staying. I like having multiple ways of looking at one type of problem. My friend, Karen, from Living Unabridged said something so similar, it's like we're the same person. It's so important to make sure that your kids can not only understand the concept, but to answer the same questions when presented in a different manner. Just like those dreaded word problems. Sure you can do it when it's presented to you in an equation, but can you do it when it's presented as a real-life situation? Using 2 curriculums is fantastic to determine your child's understanding of math concepts. Each of my children have their own separate accounts, usernames, and passwords. They love love having their own username and password that I matched to things they love to do. My kids felt so special when I told them their usernames and passwords. It was adorable. Their background color can be changed to match their favorite color. Little Miss discovered this one day and promptly turned hers pink. I urge you: give CTC Math a whirl. They've got a trial membership. Hallelujah for trials! 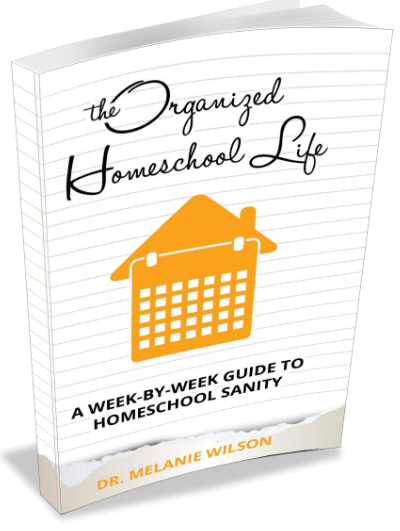 There is a sweet deal for homeschool families. Seriously sweet: $118 for your entire family!? I can spend that much on just ONE set of math books for ONE child. Never mind the other 3 (soon 5). In addition, I can't pass it on, unless I have the kids copy the problems onto a separate page. Each child has their own account and can work on Kindergarten math all the way to Calculus. No copying, cutting, page protecting, or erasing required. The need to penny pinch is gone. Even better than $118 is FREE. CTC Math is giving away memberships to FIVE homeschool families. Fo' free (that's cool kid talk for wow, that's really free). Be sure to enter-- you have a high chance of winning! And after you win, I know you'll come back and love me so much you'll send me a plate of cookies (just make sure they're grain free, sugar free, and dairy free). I want some cookies. So really, I'm being selfish. Already have a math curriculum you love and adore and just pull it out to stare at its loveliness? Yes, even you should sign up for a free trial and see if it's something that will bless your family. Oh, and I don't get any money or anything like that if you do. Just in case you're wondering. To sum it all up... get it? CTC Math really blessed my family and has become our serious math solution to our serious math problem. It covers the needs of each of my children, who are so different from one another, AND it covers MY needs as a mother and a homeschool teacher. I do frequently say that you need a curriculum and plan that works with YOU more than your children, but this is a sum up, not a novel, so I'll save that lecture for another day. Give the free trial a whirl and be sure to enter the amazing giveaway. Find CTC Math on Facebook, YouTube, Periscope, and Pinterest for more ideas, helps, and to connect with this great company. Do you use CTC Math? Tell me all about it. Be sure to come back and tell me how the trial went! Are you looking for some easy ocean science experiments? Don't want a ton of materials and spend tons of money and time gathering supplies for each experiment! Get excited, because we could be besties. Here are the 10 ocean science experiments we did, for reals with our unit study. Honesty time-- I lurv science and I lurv science experiments. I don't love getting them all together and buying the most random materials that I will NEVER use again, or have to specialty order and shipping costs more than the freaking product. And I'll NEVER use it again!! And we're eating beans for a month because we've blown our school budget. So I love simple, easy, cheap experiments that teach the concept, let the kids learn and explore and get excited about the topic. You'll see all the experiments we did, along with instructions, explanations, and pictures (when I remembered to take a few shots). Like seriously, I forgot to take pictures of the density experiment, so I will re-do it just for you when the kids are sleeping. The sacrifices I make for those I love (that's you, in case you were wondering). The beginning of the unit study we started learning about and discussing the actual ocean. How big it is, what it's made up of, and more. Salt water and its density seemed like a natural place to start. 1. Fill one jar with plain water. 2. Fill another with water and then add salt. We put in about 1/3c at first. I really wanted this to work, so I put in probably closer to 1/2c. I hate when science experiments don't go as promised. :-/ Stir like crazy. Our water was lukewarm and Little Miss (8 y.o.) suggested we use hot water to help it mix better. 3. We had a selection of toys, little sea creatures, a medium sized rubber shark, a mega block, and a knight. We started with the knight. I asked them what they thought would happen when I put the knight in the plain water. Then I dropped him in. He sunk. The mega block floated. Then the remaining items all sunk. Then we added the egg. It also sank. 4. Then I started with the egg in the salt water. They were so excited to see it floating! We added the remaining ingredients and they all sunk. Wah-wah-wah. The kids suggested adding more salt, and that still didn't help. This was when I attempted to discuss density. Things with higher density sink and things with lower density float. The salt makes the water more dense making it so that more items are less dense than the salt water, meaning more things can now float. Why is this important? The kids thought it would help the fish swim and float better. Sweet Cheeks (4 y.o.) thought it would make it so they can float while they sleep. Cute! Then we discussed why we thought the egg floated when the other objects didn't. The kids and I talked about perhaps it was because there was "liquidy stuff" inside the egg and there's liquidy stuff inside fish too and maybe that's why. Especially since the toys don't have food and blood inside them. We veered off course a bit and I showed them how taking the Mega Block and a crumpled piece of paper I could put the block into the water and the paper would stay dry. They each had a turn trying it themselves. We talked about how if you tilted it the water would go inside and the paper would get wet. When they pushed the block into the water I had them go slowly so they could feel the air pressure pushing against their hand. In the video, Ocean, it briefly mentioned the old methods of exploring the ocean. At one point, explorers would be lowered down in a wooden box that had no bottom to it. This was how they were able to stay down there for a short time without the entire box being enclosed. Captain (9 y.o.) pointed out water displacement and brainstormed why he thought this was happening. I loved that despite the lackluster results of this experiment (only the egg floated when I wanted more to float), so I guess it wasn't a flop, really, we were able to get our brains working and thinking about all sorts of things related to what we were doing. To me, this is the essence of science. Curiosity, thinking, and exploring. 1. Measure out 3/4c of each liquid. Pour into individual small bowls. Black food coloring to the corn syrup. Blue to the dish soap. Blue & green to the water (keep it lighter than the dish soap). Light light blue to the rubbing alcohol. 4. Add labels to each layer. Done! Discuss the density of each liquid (relate it back to salt water density experiment). Ask: would salt water be on the same level in this jar as plain water? I'm not going to lie, I got pretty ticked at this experiment. The dish soap got too dark. Grr. We put 2 drops of red! 2 drops! We were trying to make it purple. Instead, it turned red on top and black everywhere else. Tip: if you have blue dish soap, DON'T dye it at all. Then the water. Oh the water. It just blended in with the soap. The vegetable oil was separated nicely, though it did bubble up. Then the rubbing alcohol kinda blended in, but made swirls as well. I let it settle and am hoping to see some separation in the morning. But really, I'm just ticked I wasted 3/4c of dish soap. Well, the kids did enjoy it, though admittedly, they were sad that it didn't look all awesome and separate. I followed the instructions from Steve Spangler science on how to do the liquid density experiment, but apparently I don't have the correct skill set. I may do this paper and water jar version instead. Depends on our time and energy level. We then read the book Down, Down, Down: A Journey to the Bottom of the Sea. It shows which marine animals live in which ocean zone with beautiful illustrations. We used our plastic sea animals along with the book to determine which zone they are in and made a chart to match. Draw a shark on the toilet paper roll (or cut out a shark on paper and tape it on). Tape 3 pennies, equally spaced, on the bottom of the toilet paper roll. Fill the bowl with water. Ask: what's going to happen to the shark? Drop the shark in the water and watch him sink. Discuss. Fill a balloon with vegetable oil, tie closed. Place the balloon inside the toilet paper roll, evenly. Observe: it's much heavier now! Ask: what's going to happen to the shark? Place the shark in the bowl of water and watch him float. Discuss! The oil in the shark makes him buoyant. ASK: What is holding us to the earth? (gravity). What is gravity? There is gravity on land AND in the ocean. All the animals in the ocean are being pulled down, just like you are. Gravity holds us to the floor, and all our houses, cars, and toys, too. It also holds the ocean and the animals in the ocean down. But they aren't on the bottom of the ocean floor like you're standing on the floor! What are they doing? They're floating. How is this possible? Buoyancy! ASK: What in the world is buoyancy? Gravity pulls us down and buoyancy pushes us up! So the fish have made it so they can balance, or float. Many of them have a bladder, kind of like a ball, inside their bodies that is filled with gas. Think of a balloon when it's filled with air. The balloon is that bladder and the air in the balloon is the gas inside it. Sharks don't have a bladder filled with gas. So what is helping them float? Their bodies do not have ANY bones, instead, they have cartilage. This cartilage is less dense. Remember, when we saw how less dense items floated easier in the water? Your ears and tip of your nose is made out of cartilage, too! Sharks also have a very large liver, and fins that help them steer and stay afloat. Their bodies are still pretty heavy, of course, heavier and more dense than water. Their fins help them to move forward all the time. They never stop moving! Their liver is much larger than ours. It's filled with oil, like what we just used in our experiment. It is similar to the bladder in the fish we just talked about. It gives the sharks neutral buoyancy. That means that it's not getting pushed up and it's not sinking down, but staying at the same level. All of these things combine to help sharks stay afloat and not sink to the bottom of the ocean floor! Pretty cool, huh!? The kids really loved this one. Their favorite part? Wiggling their ears with wonder as they realized that sharks were made of the cartilage. Fill bowl with water and add lots of ice. You want it cold! Scoop a bunch of crisco into the first ziplock bag. Place the 2nd bag inside the first. Place your hand inside and secure both bags onto your hand with a rubber band. Squish the crisco around your fingers and hand. Use your free hand to do help. Don't worry, your hand will stay grease free! Place your free hand into the ice water. Yikes! Now, place your crisco hand into the water. It's not freezing! The fat keeps the whales warm! When I worked at a wilderness therapy program, we lived and hiked in snowy mountains. We'd hike and sleep in near-blizzards. We only had a tarp, sleeping pad, and sleeping bag to keep us warm (besides our clothes). No tents! We ate bacon at every meal. We added butter to our hot chocolate and anything we were making. We ate as much fat as we could every day to help keep us warm. I still was freezing cold, so I'm not sure how much it helped, but I'm alive so it must have helped some! They loved this experiment! They were shocked that their hand didn't get cold at all! It was a pretty cool feeling. Maybe I'll slather myself in crisco when I head to the cold pools this summer? Get a wicked sunburn at the same time. Win-win, right? You know I'm kidding, right? Create a tide pool with your rocks. Look at pictures of real tide pools to see what they look like. Layer and build your rocks. Add sand, if you have it and want to. You can also use play doh or clay to build up your tide pool. Add in plastic animals in various locations of your tide pool. Try to add those that would actually be in your tide pool and leave out those that aren't. Fill with water as the high tide comes in... and then empty as the low tide goes out. Then fill again and play!! Pour water into the other side, until it's halfway up your sand slope. Place your water bottle on the end with the water. Push the bottle down to create small waves. Do this, consistently and evenly for 1 whole minute. Write down what you observe. Push again with your water bottle for another minute. You may make your waves bigger, or keep them the same size. Make observations. Fill the bottle 1/4 of the way with corn syrup. Add a few drops of blue food coloring and mix with spoon handle. Slowly pour in vegetable oil until the bottle is halfway full. Put cap on. Make sure it's real tight. Turn the bottle on its side, tilt it slowly so the capped end is down at a slight angle. The corn syrup will crest in the bottle's neck. Fill the mixing bowl with water, almost to the top. Sprinkle the cornmeal into the bowl. Blow steadily across the water surface (not into the bowl). Make sure it's not too gentle or too forceful (you can experiment with wind intensity later). The cornmeal will be swirled around by the currents just as in the ocean. The northern hemisphere is clockwise and the souther, counter clockwise. Fill the 9x13 with an inch of water. Make sure the water is room-temperature (or slightly warmer). Set the ice pack (or baggie) against the edge of one side of the pan (inside the water). Place 1 drop of food coloring right in front of the ice pack and 1 drop on the opposite side of the pan. The drop near the ice pack will move forward because the cold water is pushing the warm water away. The drop on the other side stays there because the cold water keeps it from moving. Cut a 2" square out of the black and white craft foam. Glue them together and cut out a penguin shape. Fill the mason jar halfway with water and place the penguin, black side down on top of the water. Hold the jar under a light source (lamp, lightbulb, flashlight) and look at the penguin from the bottom of the jar. It should be easy to see. Now, turn the penguin over, white side down. Now look through the bottom of the jar again. This is the way penguins swim! It's much harder to see now because the light and the white blend together, making it harder for predators to see from underneath. This time, place the jar on top of the black paper. The black paper represents the darkness of the ocean. Take a look from above the jar to see how the black side of the penguin helps blend into the water from this angle! That wraps up all our ocean science experiments! We had so many great conversations with each experiment and it's always a treasure to hear them talk about and relate other things to the new things they've learned. As we've studied the ocean these have really added a great depth to their understanding and grasping of each concept. I highly recommend doing as many of these as you can. Let me know which one your kiddos loved the most! Do you have any other fun ocean experiments for us to try?